The Tarelcus SE is a very interesting brain training app that game enthusiasts are sure to enjoy. Developed by Rus Wizards, leading providers of mobile applications for the Android, iPhone/iPad, and Blackberry, the Tarelcus SE is yet another fascinating mobile app from the team. It is a simple brain training game that does not involve any complexities. The Tarelcus SE is compatible with iPhone, iPad, and iPod touch, and requires iOS 4.3 or up. Studies reveal that constant brain training is the best way to improve brain functionality. Released recently, the Tarelcus SE is a cool way to train your brain. The player must focus a flying saucer into a black hole by crossing enemy UFO objects, obstructions, and obstacles. In order to move up levels quickly, the player must be smart, patient, skillful, and quick. The Tarelcus SE is very easy to use with simple self explanatory options. 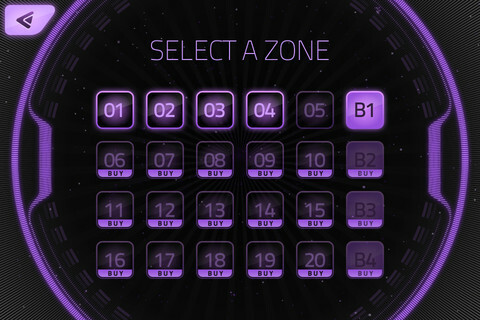 The user can choose between different levels or zones to play. 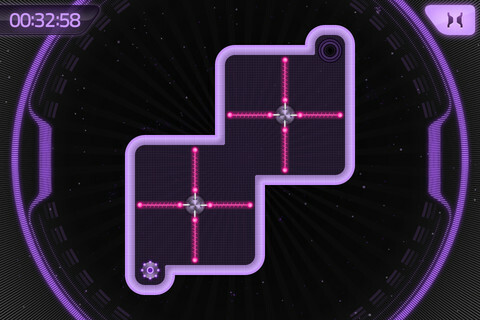 The basic rule of the game is to direct the rotating disc in to a black hole without touching the glowing pink border zones and dodging enemy objects. Here are the key features of the Tarelcus SE. A very elegant, clear, and friendly user interface. Simple controls for easy playing. Easy installation process that enables users to download the app and start playing it right away in a few simple steps. Different levels to add more challenge. Push the ‘Play’ button and start gaming right away. Appealing sound effects for a more enjoyable gaming experience. No disturbing graphics on the game screen. Being both an entertainer and a brain trainer, the Tarelcus SE is definitely an interesting piece of free iPhone app suitable for all ages and audiences. It has the right blend of simplicity and challenge to keep you going!